To face the challenges posed by the Labor market, Sweden incorporated the policy of EU Blue Card initiative from August 1, 2013, to welcome the highly qualified professionals to its market. The country’s growth sectors are lacking the professionals in the local market. To fulfill the gap, immigrants are welcomed to the mainland of Sweden to work and settle through various visas. Sweden welcomes immigrants by creating opportunities, the EU Blue Card Sweden grants temporary residence to the clients for two years if they have a salary from the employer of 1.5 times of the national average wage of Sweden. Professionals after residing in Sweden for two years can apply for the next permits. EU Blue Card Application to Sweden. To apply for Sweden EU card the applicants must be from non- European Union countries. Must be highly qualified with masters/ bachelors with over five years of experience. Must have employer contract with Sweden company. Offered salary must be 1.5 times of the national average. Family members of the blue card holders are permitted residence in Sweden. 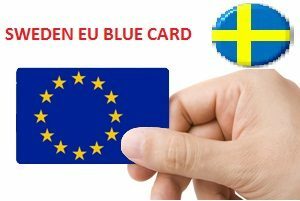 Any EU blue card holder other than Sweden after two years can enter Sweden with the same EU blue card visa. You can travel to Schengen countries. There are numerous benefits of settling in Sweden, you will have a good atmosphere to live. Countless opportunities for the industrial sector of Sweden are robust. The primary objective of the Sweden Immigration is to bring the brightest talent from the international community to Sweden. Applicants before going ahead must go for the assessment at trusted consultants. To avoid failure at any stage of the application process, please seek the help of expert visa consultant.